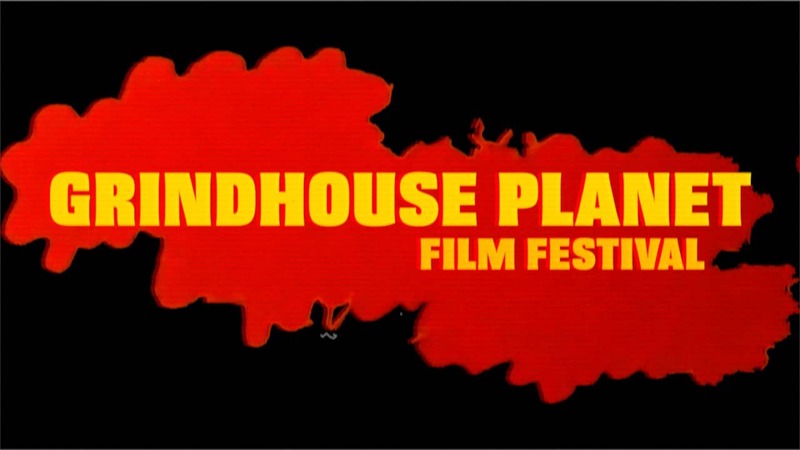 The second annual Grindhouse Planet Film Festival premiered All Bad Things… on Sunday evening. 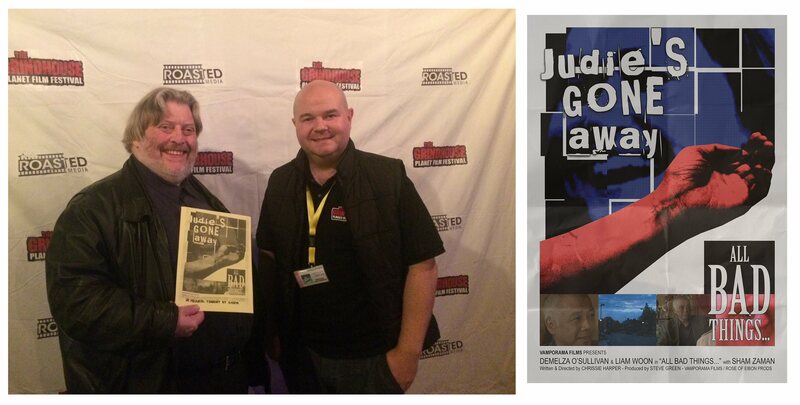 Here I am afterwards, with organiser Marc Hamill. 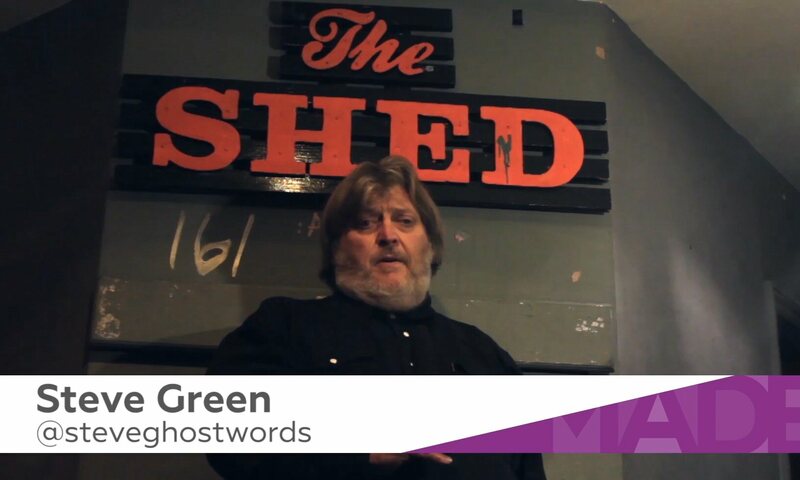 Also attending the event, held at The Shed in Leicester, were writer / director Chrissie Harper and associate producer Carl Timms, whose zombie comedy Still was having its final festival screening. Update: As a result of this screening, All Bad Things… now has an IMDb entry. 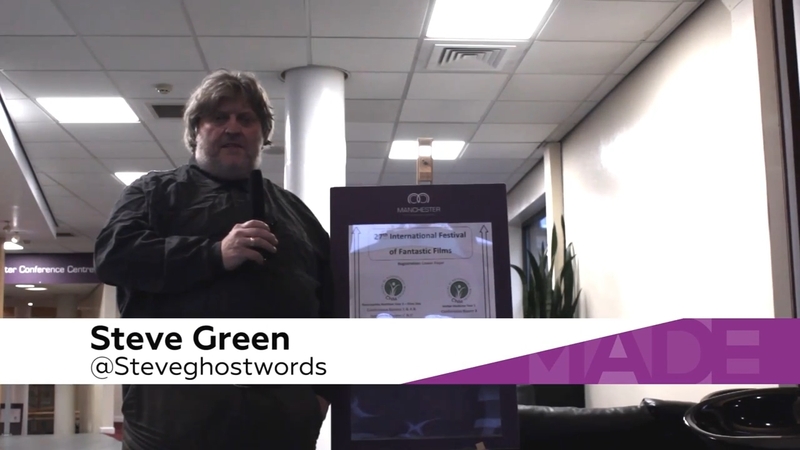 The extended version of my report from the recent Grindhouse Planet Film Festival in Leicester is now available online via Ghostwords TV’s YouTube channel. 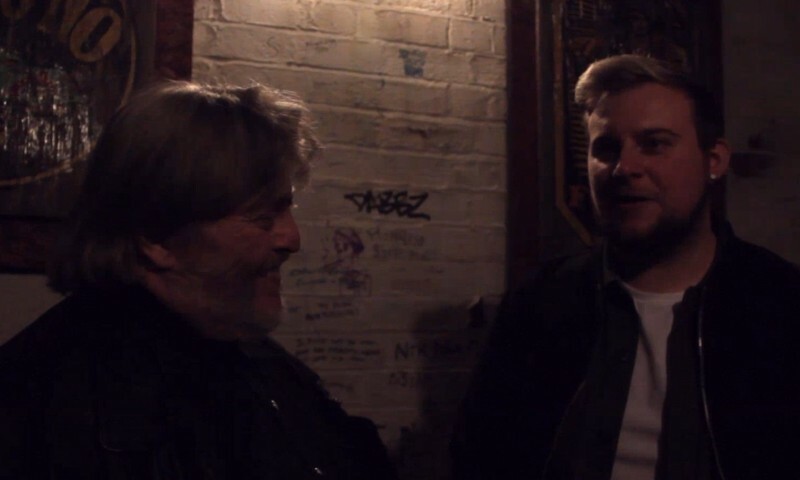 Running more than eight minutes, it includes an extended chat with organiser Marc Hamill and an additional interview with Liam Banks, winner of the event’s 48-hour movie challenge. Rose of Eibon’s YouTube channel has been further updated to include my first three appearances on Made In Birmingham TV, successor to Big Centre TV. 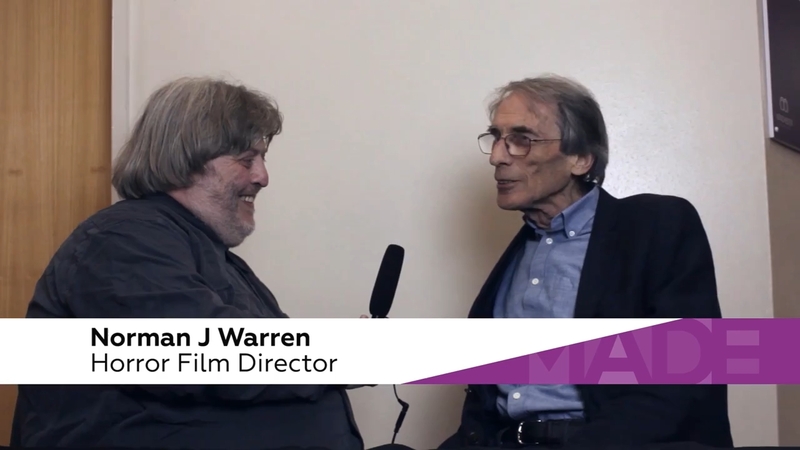 These comprise interviews with actress Edith Scob (12 November), movie director Norman J Warren (3 December) and film-maker turned festival organiser Marc Hamill (10 December). An extended version of the last of these is currently in the works. 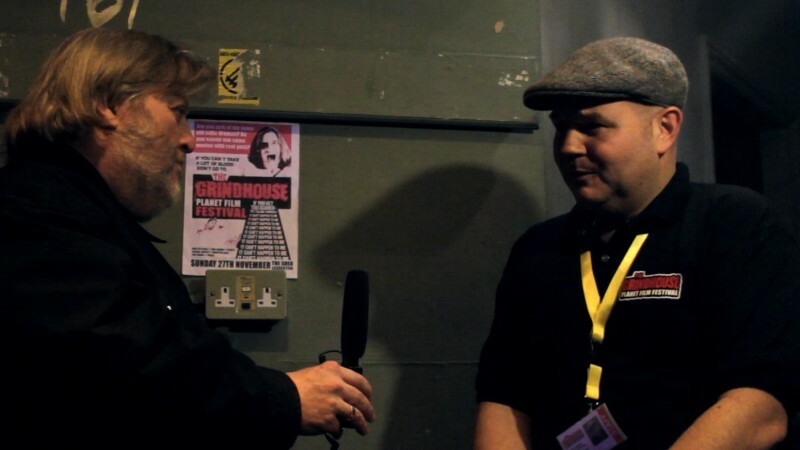 A couple of images from Sunday’s interviews at Leicester’s Grindhouse Planet Film Festival, featuring organiser Marc Hamill and award-winner Liam Banks. Meanwhile, Marc announced today that he’s already taking submissions for the 2017 event. Great to hear it was such a success. Update: The interview with Marc aired on 10 December as part of both Birmingham News Weekend Magazine and The Birmingham Lowdown: Best Bits. 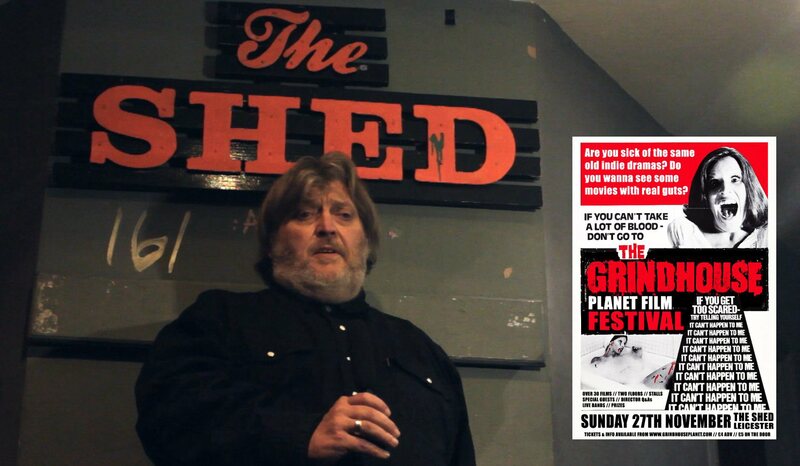 Just returned from a brief but rewarding 90-mile round-trip to Leicester’s Shed Venue, where I talked to Roasted Films‘ Marc Hamill about organising the first Grindhouse Planet Film Festival, as well as Superfreak Media’s Liam Banks, fresh from winning the event’s 48-Hour Movie Challenge with his faux trailer for Night of the Demented Virgins from Hell.